In last week’s Back-to-Basics post I talked about the characters in the new contemporary romance, tentatively titled Second Chances, that I’ve been working on (when I need a break from working on revisions to The Traitor). Thanks to a variety of character worksheets, some free-writing, and a fair amount of staring off into space, I have a (reasonably) good idea about who my characters are and what makes them tick. 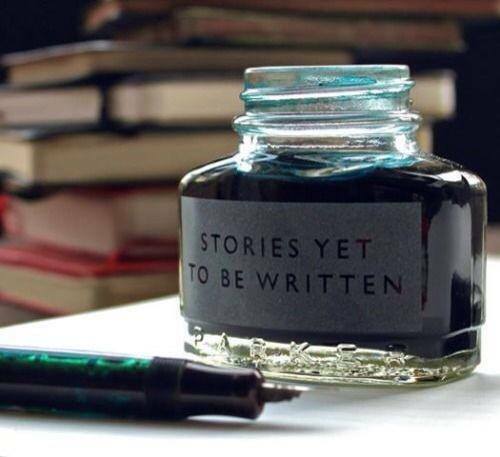 So, to continue with my plan to put a strong foundation in place before starting to write, rather than just winging it and hoping everything will work itself out by the end of the book, it’s time to move on to the next story element. Fortunately, both Jilly and Justine talked about conflict in their recent posts and Jenny Crusie has a great set of posts all about conflict on her Writing/Romance blog, so the concepts are fresh in my mind. For an extra boost, I pulled out my McDaniel class notes and went through the conflict presentations, paying special attention to the sections on the conflict box. If you are unfamiliar with the conflict box or need a refresher, check out Jeanne’s post here. Both the protagonist and the antagonist in a story have goals. The actions the protagonist takes in pursuit of his/her goals block the antagonist from achieving his/her goals, and vice versa. When you’ve got a strong conflict lock in place, only one of these characters will be able to reach their goal. If they both can reach their goals, then there is no lock and it’s back to the drawing board. Second Chances is primarily a love story where both characters, Maddie and Sam, are (for different reasons) looking for a relationship. They have a history together, so these are not just random characters who meet. Maddie wants to avoid a relationship with Sam. Maddie wants a relationship with anyone but Sam. If Maddie is actively rejecting Sam’s advances and taking action to date, meet other men, and establish a relationship while Sam is making advances towards Maddie and (possibly) trying to thwart her dating efforts, then there is a conflict lock. Something else needs to be going on in the story. That’s where the sub-plots come in. They provide a way to put the protag/antag under pressure and force them to make tough choices, which will ultimately help drive their character arcs. In this story the main sub-plot involves a community/youth center. Maddie is trying to save it, and she needs the help of Sam to do so, even though she would rather have nothing to do with him. Sam helps Maddie at first, to get close to her, but later becomes emotionally invested in the center, which then forces him to make a difficult decision further down the line. Obviously this is just a simplistic view of the sub-plot, and there are other sub-plots as well, but you get the basic idea. So, what does the conflict look like in your own current work-in-progress? This entry was posted in Conflict and tagged back to basics, conflict lock, Jenny Crusie, McDaniel Writing Program, sub-plots, writing process, Writing/Romance blog. Bookmark the permalink. My WIP, currently finished (so not IP anymore) is that Phoebe wants her job back and is going after the Swedish-Koreans to prove why she’s capable, and Chase wants to get the S-Ks to invest, so he’s trying to keep things smooth. Chase doesn’t have or need much of an arc in this book, so the conflict box is for Phoebe, whose arc is much bigger. Her antagonists are the S-Ks, who want to kidnap the Secretary of State, and she wants to stop them. Our hero causes trouble by wanting both the heroine and the S-Ks, but of course for different reasons. Kay – I am envious that your WIP is not IP anymore. Yay you! The conflict sounds very entertaining – looking forward to reading more. The conflict lock always trips me up . . . . Right now, my love conflict is the old Boss thing — she wants him and she wants a salary, but is worried about class/power relationships (he’s her boss). He wants her photos, and he wants love, but he doesn’t want to be That Kind of employer. The other plotline is even more of a mess. She wants a studio so she can make a decent living wage (and also to get one obstacle out of the way in her quest for Michael James’ adoration). The bad guy wants her to take pictures (no conflict there), but he also wants to enslave ghosts. Which kinda/sorta blocks the “decent” part of her wage. She doesn’t want to do morally shady things as a photographer. I think I need a three-dimensional (maybe four!) aspect for this conflict box. I still don’t know which plotline is more important. I think the photography studio one is important for this book, and the romance plotline should develop over the course of three (or four) books. My conflict lock is between Sarah and Finch’s father. She wants waivers to modify a house to turn it into a nonprofit home for unwed teenage girls. Kevin wants to protect his illegal businesses which means not granting the waivers (evidence hidden in the wall). There is conflict in the beginning of the book with Finch, but then he realizes something doesn’t smell right and starts helping Sarah. That’s not to say that every scene has conflict. Still working on that. Michille, sounds like you’ve got a good grasp on your conflict. Can’t wait to see the story when it’s done. Conflict – can’t live with it, can’t live without it. Rachel – I agree, that post was very helpful and glad it was able to make things clear for you. I think one of the hardest parts about getting a good conflict-lock is the decision about who the antag/protag are and deciding whether your story is pure-romance or something else. In my last book, the protag/antag were not the hero / heroine whereas in this new story they are. That’s interesting, Elizabeth (about your last book). I would have thought that the protag would always have to be either the hero or heroine (whoever’s story it really is) – can they still be the emotional core of the story without being the protag? Clarifying. The hero is the protag (it’s his story), but the heroine is not the antag. That makes sense. Now I’ll go and limber up for writing sprints on Friday.